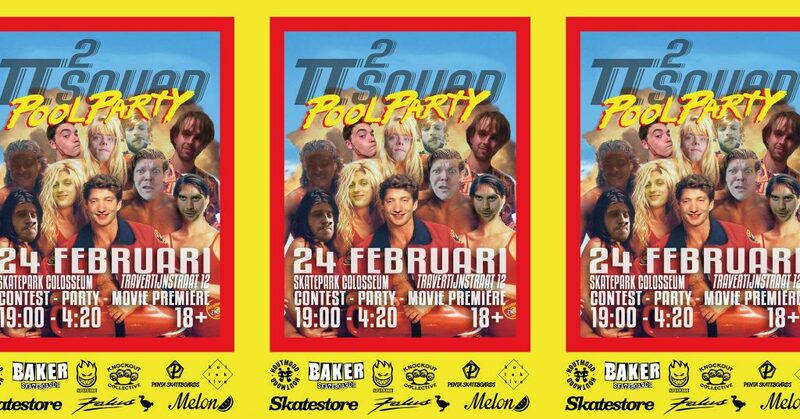 Tomorrow is the Pi2Squad PoolParty in the upper north of the country: Skatepark Colloseum, Groningen. Crazy contests, crazy party and a new moviepremière as well from 7PM up until 4:20AM. Make sure to be there! Dit bericht werd geplaatst in Baker, Spitfire en getagged met baker skateboards, pi2 squad, spitfire wheels op 23 februari 2018 door admin.